Place all ingredients into a bowl. Click here for my video on perfect hard boiled eggs. Click here for even more in my blog on how to boil eggs. Click here for the latest research on eggs from Prevention Magazine. 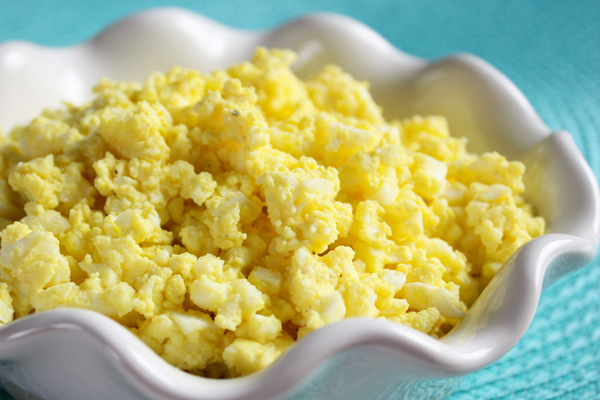 9 Comments on "Simple Egg Salad"
Try putting a little honey and a squeeze of lemon in your egg salad. Using a pastry cutter BRILLIANT!!! We’re pretty health conscious too so we make our egg salad with liquid egg whites. After cooking the whites my husband lays them on a paper towel to take out any liquid. Then we add light mayo, celery, etc. and I like a few chives in mine. You are our inspiration. We love your recipes and video’s. I’m so glad we found you. 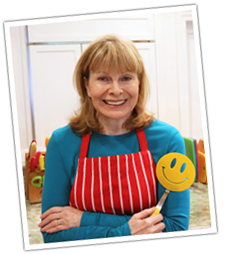 I do not have a newsletter but you can subscribe to my website and you will get email notifications whenever I post a new recipe. I keep the boiled eggs refrigerated in the shell.